Yesterday…oh my goodness once in awhile life creates a perfect little storm. Well, probably once a month to be honest. I’ve had quite a bit going on at work this week, a very very large project in particular. Due this week. I meant to show off a sock yesterday, but as I didn’t get a moment to eat or knit until after I put Bug to bed yesterday (and I put her to bed late) there just wasn’t even a moment which I had free to take a picture of it. So, it can be my Friday post, and hopefully I’ll have something more interesting tomorrow. 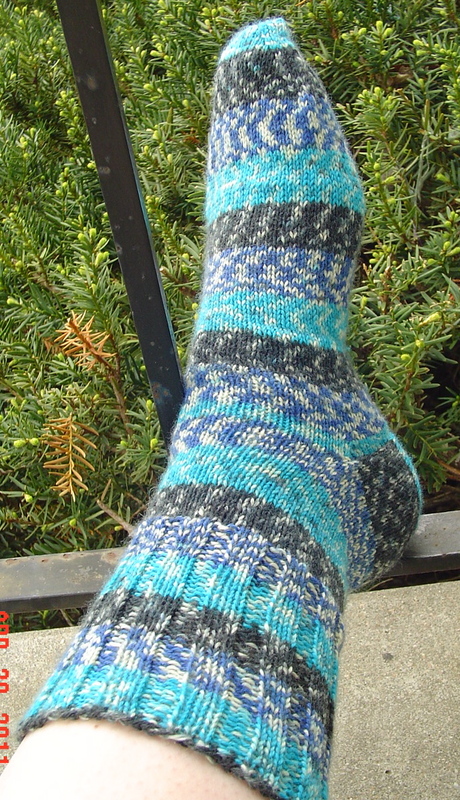 The standard sock pattern out of some standard opal yarn. Specifically kept at work for long meetings. They go slow for that reason!